The change in seasons and warmer temps has me longing to get outdoors and do some exploring. Here’s 4 places fairly close to (my) home that I’m hoping to visit soon. Natural Bridge, Kentucky– Located in the Red River Gorge area, there are opportunities for hiking, kayaking, and birding. Cathedral State Park– The hemlock trees are nearly gone from Appalachia. This is one of the few places you can still see some, although the park was hit hard by heavy snowfall in 2012 and as a result lost many of these ancient trees. Headlands Dunes State Nature Preserve– Hiking along sandy dunes in Ohio? Sign me up! This blog has me hoping to visit this summer and work on my photography skills with the new camera. Rhododendron Cove– Located not far from Lancaster, Ohio, this is an easy trip for anyone in Central Ohio. This state preserve used to allow visitation by permit only, but the state has recently opened the cove for everyone. The State’s website says they bloom in late June, but a few other websites indicate it may be more like early June. Maybe a Memorial Day roadtrip? Have you been to any of these places? Have any tips? 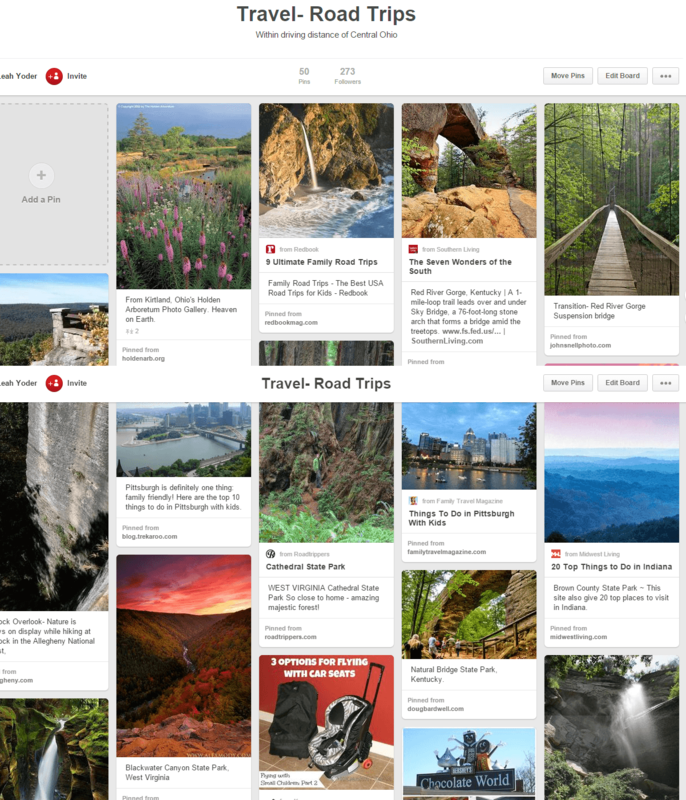 Need more ideas for a Spring road trip?